Last week we had Spring-like weather all week. Mother Nature is such a tease! Earlier this week we were back to freezing temperatures, freezing rain, and snow. That week of Spring-like weather really had me wishing for Spring. The perfect weather for being outside without it being too hot plus no snow! Spring to me always means flowers. So if I can't have Spring outside I can have it inside with floral prints. Floral prints are one of my favorite patterns. It could be floral dresses, tops, bags, chairs, pillows, etc. it just doesn't matter when it comes to a beautiful floral print. I love a mix of pretty colors in floral prints. The best thing about home decor is you can go big or small. If you want something that is easy change when the mood strikes, then throw pillows or a comforter are an easy way to go when it comes to florals. If you love them like I do and want to go all in, a beautiful set of chairs for your living room or even a floral couch would be perfect! 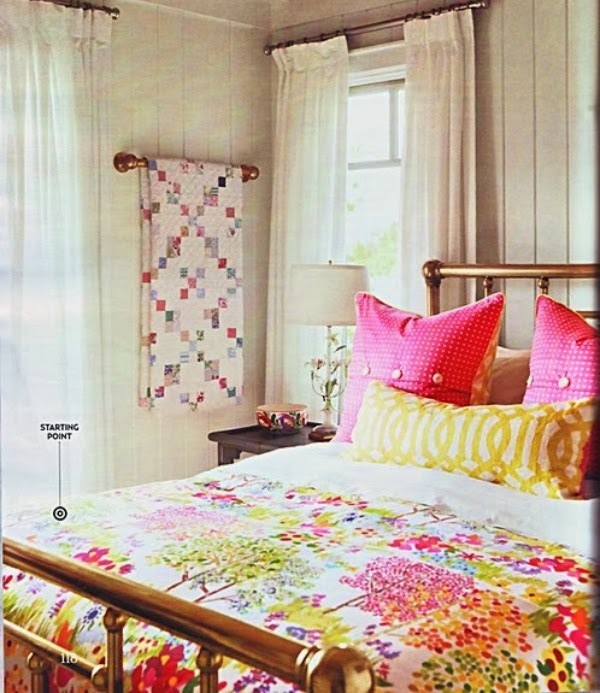 Then the rest of the furniture in the room could be a solid color that you pull from the floral print. My future dream home definitely has a place for a set of floral chairs. Even floral wallpaper would be beautiful. 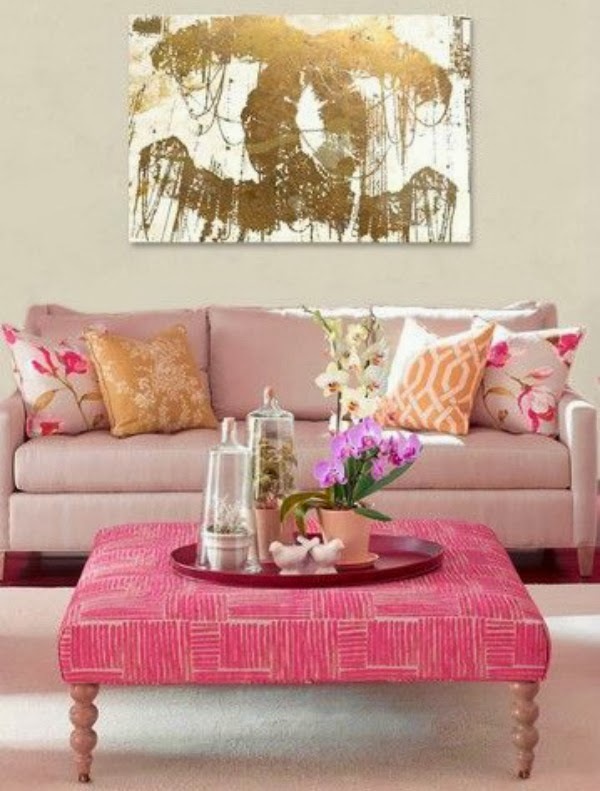 What are your thoughts on floral prints for the home? In my home I have lots of flower-related decor for Spring. Love it! This is lovely! Most of my home decor is permanent, but I like the idea of having a framed print that changes with each season. I usually use Red as my accent color in my living room but my kitchen chairs I recently thrifted are Tiffany blue (my kitchen table is in my living room now.) So I was thinking of getting some pillows and a throw for the couch in that color for Spring. Lovely pics! I love pastels for home decor, but my living-room is currently red. I try to add baby blue accessories. Can we talk about the gold Chanel painting in the background because I am pretty much in love with that! Great inspiration! 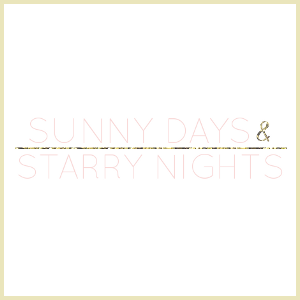 I love floral prints and can't wait for spring! I'm definitely pining for spring too! 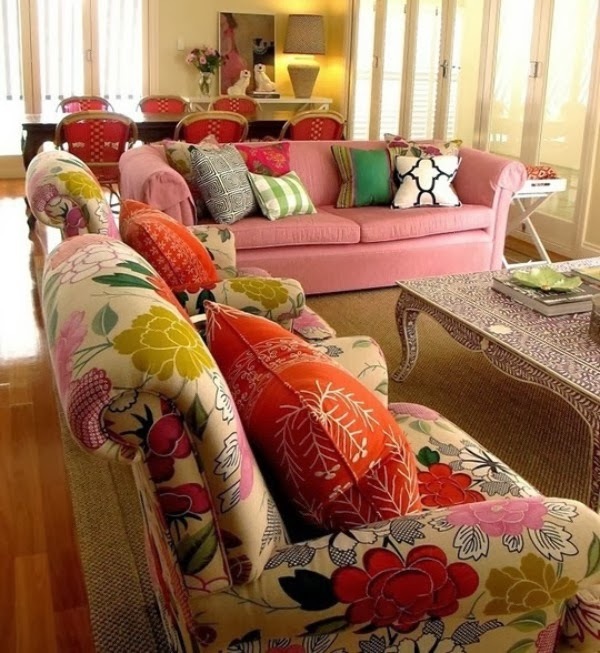 oooh how absolutely beautiful, i need more flowers and colors on my furniture! I love the idea of infusing your home with a touch of spring through floral prints and I'm definitely ready for the real thing to arrive. 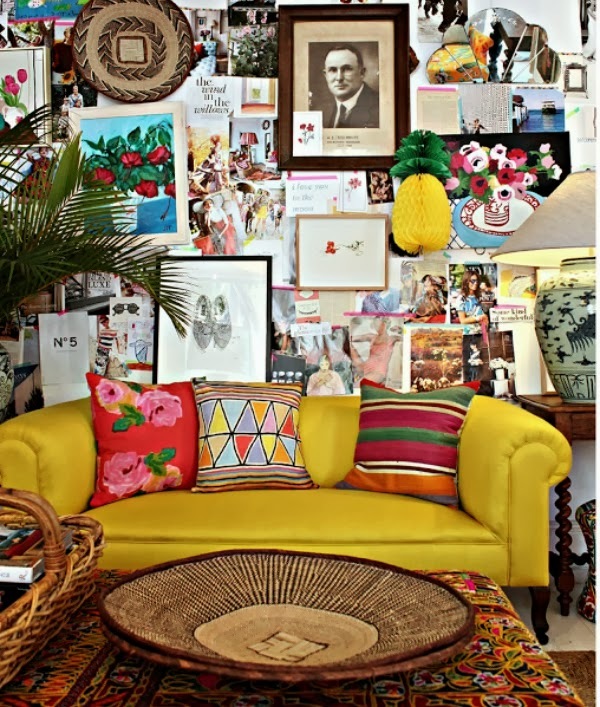 So inspired by these beautiful colour and print ideas, how great would it be if we could change our interior decor like how we change our wardrobes based on trends. Your thoughts mean very much to me, thanks for stopping by. Such beautfiul indoor "gardens". I love the painting in the first pic! i cant wait to have my own place and decorate! 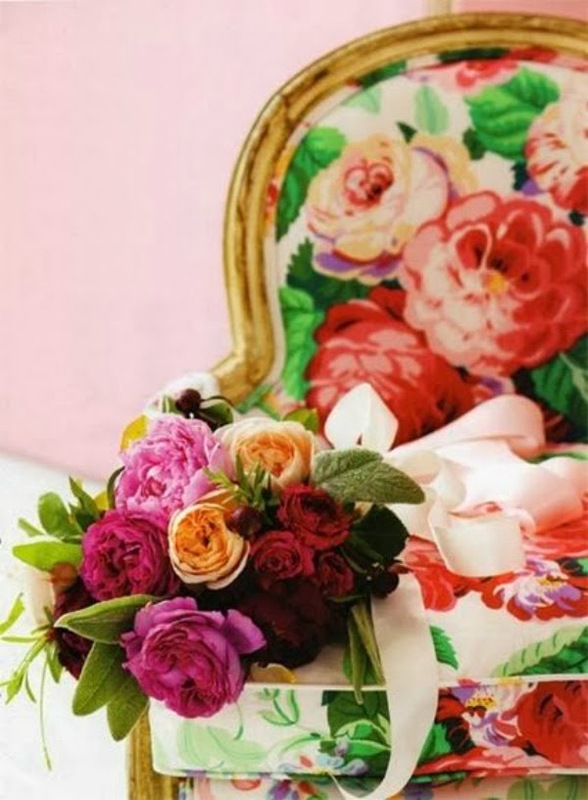 I love that floral chair! It's so pretty!